New single ‘I Don’t Feel The Same’ marks a new chapter for Malaika, as the young singer/songwriter continues to explore the possibilities of combining her Jazz, Soul and Pop influences. The stripped back production provides the perfect foil for Malaika’s intimate vocal delivery and from the heart lyrics. Soul-pop/jazz newcomer Malaika drops her first official music video featuring Emmerdale actor Ethan Kai. ‘I Don’t Feel The Same’ is the first official single release from the Belfast born singer/songwriter and follows her success at The Unsigned Music Awards (winning Best Jazz/Blues) and support slots with Jones in 2016. 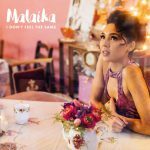 Originally hailing from Belfast and now residing in Leeds, Malaika’s saccharine vocals and jazz inspired melodies have quickly turned heads across the UK. After winning ‘Best Jazz/Blues Act’ at this year’s Unsigned Music Awards last month and supporting pop-soul sensation JONES on some of her Autumn tour dates, it’s no surprise why so many industry insiders are tipping Malaika as ‘one to watch’ for 2017. Support from BBC Introducing, PRS Music Foundation and funding from The Arts Council have all helped kick start her burgeoning career. A journey which started last year after being handpicked by Jamie Cullum to perform at The Montreal International Jazz Festival which quickly led to other support slots for Mica Paris and X Factor Finalist Luke Friend. Her previous 2 releases ‘Beat Out Of Time’ and ‘Call Me Honey’, have been championed by BBC Introducing, Huw Stephens at Radio 1, Jamie Cullum at Radio 2, BBC Radio Leeds and influential YouTube channel Ont’ Sofa who shot live versions of the tracks, both of which showcase perfectly the natural talents of this star in waiting.